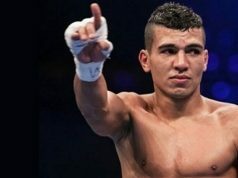 Rabat - After winning his first professional match against the Hungarian Laszlo Kovacs by knockout last month, Moroccan boxer Mohammed Rabii won on Friday his second professional fight against Belgian boxer of Rwandan origin, Jean Pierre Habimana. 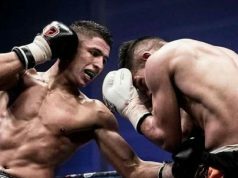 Rabat – After winning his first professional match against the Hungarian Laszlo Kovacs by knockout last month, Moroccan boxer Mohammed Rabii won on Friday his second professional fight against Belgian boxer of Rwandan origin, Jean Pierre Habimana. 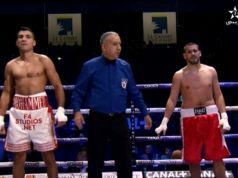 Rabii’s manager Gary Hyde said earlier this month that the 23-year-old welterweight boxer will have six other professional matches, which are expected to take place in the course of 2017. 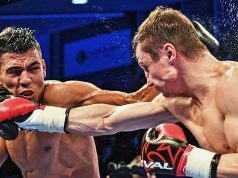 During his first professional match, Rabii managed to show amazing boxing skills. Not so long after the fight started, He managed to get the best of his rival in the first round of the fight. 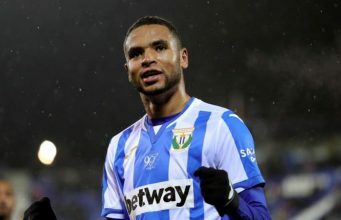 Before the match, Rabii had said that he counted on his fans’ encouragement to raise the Moroccan flag up. He posted a video while he was training, and called on his fans to support him. “I really need your support […] in this very special time, to raise up once again our dear national flag,” Rabii said. In 2015, Rabii won the tournament title against Kazakhstan’s, Daniyar Yeleussinov, in the AIBA World Championship in Doha. His achievement was praised by international media as one of the biggest worldwide boxing success stories of 2015. Rabii also participated in the Summer Olympics Rio 2016, where he qualified for the semi-finals and won a bronze medal. 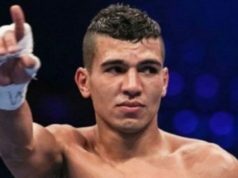 He also ranked number one in the Welterweight division in Season V of the World Series of Boxing, after seven consecutive victories.